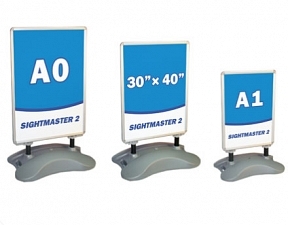 Improved corner brackets on 30” x 40” and A0 sizes. Soft round corners for safety. Nylon feet reduce wear and increases stability on uneven surfaces. Snapframe opening tool and 2 piece spanner set included with each unit for easy assembly. 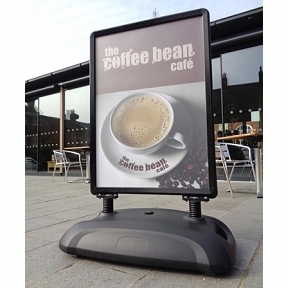 Transit trolley available to aid movement when full – 30” x 40” and A0 sizes only. 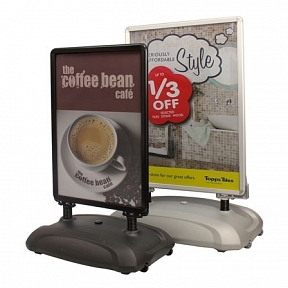 Ideal for forecourts, entrance approaches, car parks, retail outlets and shopping malls.